Louise Greenberg served as Deputy Minister of Advanced Education from 2012-2017, after which she retired from the Government of Saskatchewan after a 32-year career in the public service. Prior to her appointment at Advanced Education, Louise was the Associate Deputy Minister in the Ministry of Social Services (2010-2012), responsible for Child and Family Services. She has also served as Associate Deputy Minister with the Ministry of Health (2006-2010), Deputy Minister with Regional Economic and Co-operative Development (2005-2006) and Assistant Deputy Minister with the Ministry of Agriculture (2002-2005). During her career, Louise has also held a number of management positions. Louise has participated on a number of Boards in the fields of mining, health, and agriculture research. 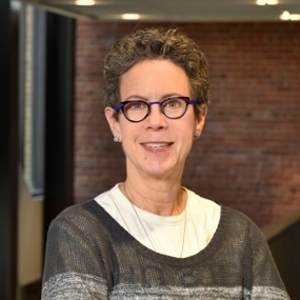 She also served as the Government of Saskatchewan Senior Fellow with the Johnson Shoyama School of Public Policy (Saskatchewan Institute of Public Policy) in 2001. She is keenly interested in areas including public administration, machinery of government, food policy and science, agriculture and crisis management. Louise holds a Ph.D. from the University of Saskatchewan, as well as a B.Sc. and M.Sc. from McGill University in the fields of animal science.